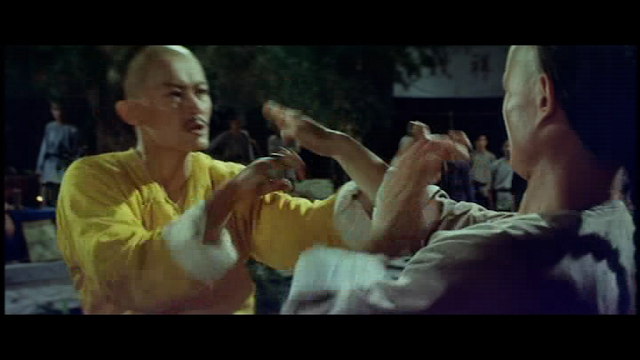 A long time ago when the martial arts industry in HK was flourishing (according to my humble opinion) many fine movies were produced and executed with such refinement, that not many films are reaching it nowadays. Being old enough myself, I prefer to watch over and over again any of the fine examples from the period between late 70's to early 90's where characters were one dimensional, driven with the help of vengeance, following their purpose until the end - no matter happy or bitter. So, forgive my obsession with old school flicks and prepare for a glorification of the obvious talent and martial arts perfection, which was at the time I watch it - enlightening. Sammo Hung, Yuen Biao & Lam Ching Ying teaming up to create one of the most solid performances captured on celuloid ever... I told you about the bloody favouritism and glorification, didn't I? Please read along. Crafted in the early 80's it exploits the art of Wing Chun in a detailed and complex way, which differs from the rest of the screen adaptations before, some of them made by the same fat Sammo Hung. Which here stands back and leaves the show to Yuen Biao & late Lam Ching Ying, as he is taking the director's seat and one comic relief character thrown in for an extra flavour, but it is quite important for the flow of the movie itself. Anyway, it involves the old story of vengeance and testing skills in front of an audience (or few doves), measuring egos and maintaining student-master relationship in a very direct and even stubborn way, trying to show how difficult is to find a top master and become a hero in martial arts. Probably all of you are already familiar with the synopsis, however I'll be brief and explain it to people which are going to watch it for the very first time. 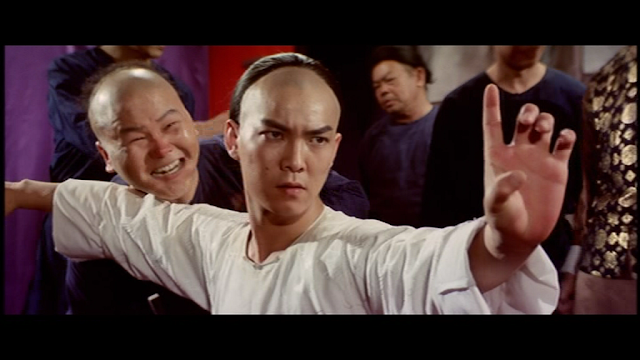 Yuen Biao is one of the main characters (maybe a real historical figure) named Leung Chang (Jan), who is living in Foshan as a spoiled brat, only fighting and kidding, not carrying about anything else in life, his ego is enormous and his actual kung fu skills are pathethic. 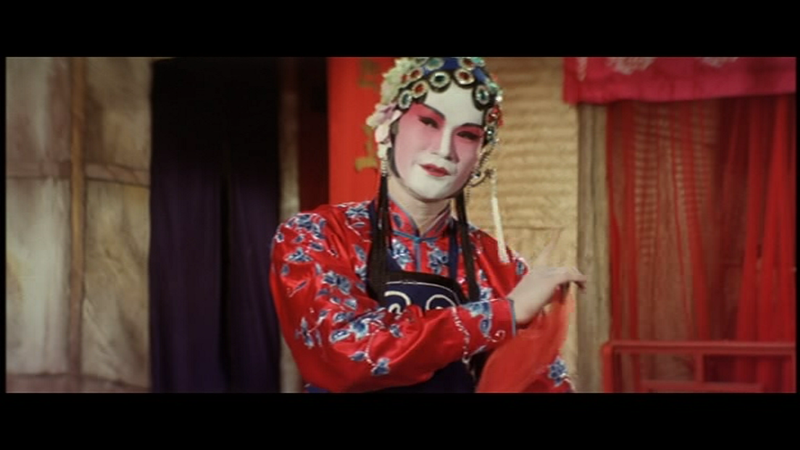 his whole happy-go-lucky style change in a flash when he meets a real master - Leung Yee Tai (Lam Ching Ying), who is a performance player in chinese opera troupe. After a little showdown between the two, it becomes clear that Leung Chang does not possess any kung fu and he is now easily embarassed and humiliated. The situation actually made him rethink his previous life and he decided to learn under the guidance of Leung Yee Tai, by leaving his advantages and immature activities and setting up new goals and purposes. However this transition was not very smooth at all, as he has to endure many rough teachings from his master, who appears to be a Wing Chun practicioner with a secret. Later on, in whole opera picture, new enemy emerges - one with enough power and skills to just wander around the country seeking worthy opponents. 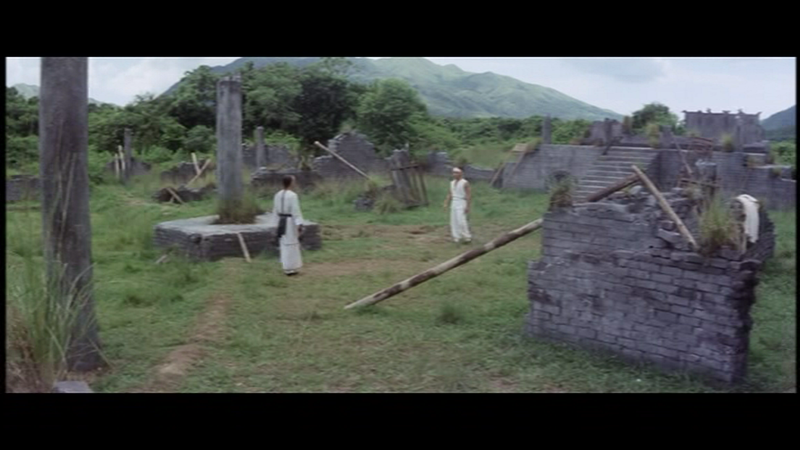 Naturally when the two rivals meet it all goes pretty ugly, pretty quick and the whole movie changes direction from having light comedy fetures, to a brutal conclusion resulting in injured Leung Chang, being carried out from Leung Yee Tai to a secluded and quiet village where both will meet a new teacher with not so strict teachings. Enter the Fat Dragon himself Sammo Hung, who will add some extra flavour to the Yuen Biao's growing up and learning real kung fu. You know what is coming next - in the final duel Leung Chang will beat the carrots out of the bad guy (Frankie Chan) using combined techniques from two masters. Chinese Opera - serious business. Well, this wasn't so brief, but I got carried away - it's looove baby, what else can I say. On to the rest of the article - it started off as almost a theatrical play, a narrator and group of people frozen in front of the camera, nice touch indeed as we get acquainted with the main characters. Yuen Biao has been on of my favourite martial arts actors since the short sequience with Cynthia Rotrock in "Righting Wrongs", as a part of the documentary "Best of martial arts films". I do think that he is one of the most physically gifted person of his age, surpassing even Jackie, Sammo, Jet & Donnie in flexibility and somersault department, I mean this guy has really amazing skills in jumping off buildings and other utilities, not to mention his acrobatic moves, which makes any circus troupe envy to the bone - Dragons Forever, Eastern Condors, The Iceman Cometh, Righting Wrongs are just some of the examples and testimony to his outstanding reflexes and jumping capabilities. 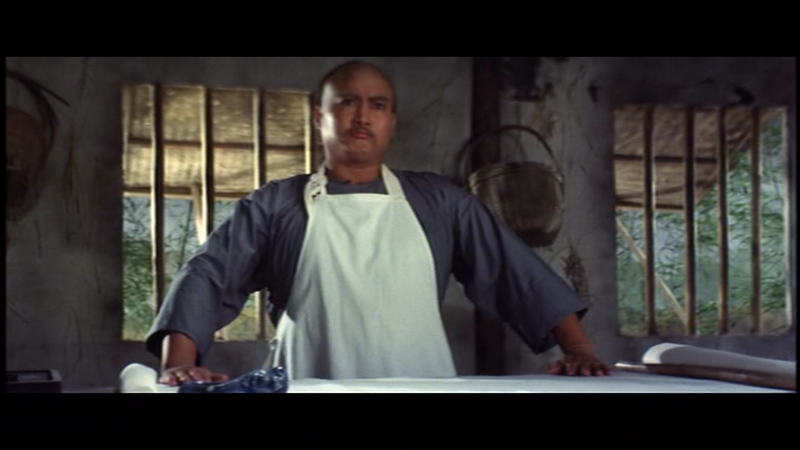 Too bad that he just stayed in Sammo & Jackie's shadow and couldn't break out of it, a really underrated actor and martial arts wonder. He is the star here, he is the running engine of the whole movie, giving it all to create a convincing portrayal of Leung Chang and to show Wing Chun in a way highly realistical, filled with power, angst, determination and even comic bits thrown ocassionally. 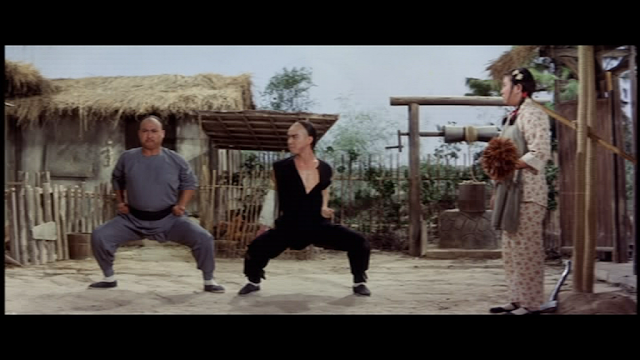 the relationshi[ between master-student is so diverse here, as neither of them is backing up - Leung Chang is standing firm in his decision to learn under the guidance of Yee Tai, on the other hand Lam Ching Ying character is not giving his skills quite so easily, and refuses to become a full fledged master to the young and relentless Leung Chang. When finally we see the crack in the wall, the training sequences are something to marvel and enjoy, each move and pose are executed with utmost attention to detail and flow, I really seldom see in most recent pictures from the genre. Well personally I thought that the involvement of Sammo Hung could be less comedic, as it changes the grim and gritty tone set around the massacre in the theatre, but I guess that it was a necessary change nevertheless. If such change is well incorporated into the initial speed and tune of the film it does not distract the viewers from the action or plot sections, however it has so many examples on the negative side, due to crappy funny scenes or empty emotions on screen, just to fill the remaining time between the action set pieces. 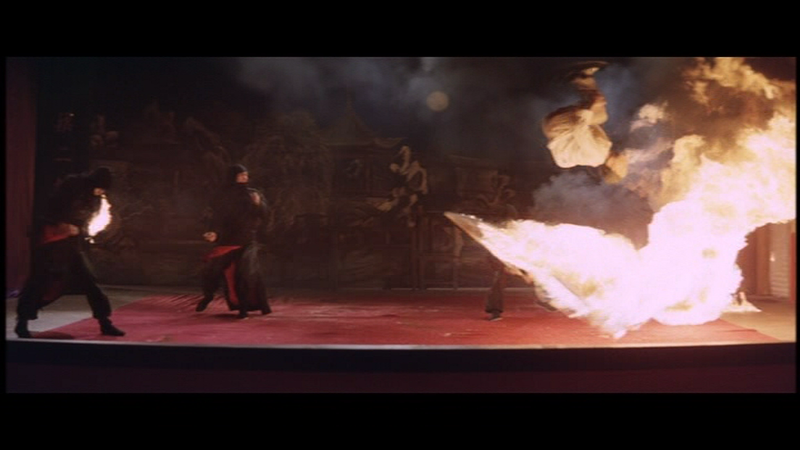 I can not say how acurate the movements are, but they were convincingly well executed, and Sammo obvously knows his abilities to make it look like the real thing, and both Lam & Yuen are presenting great amount of power, speed and confidence in any of the martial arts sequences. A well done tribute towards the Wing Chun, towards the fans and towards the actors taking part in this classic - something which nowadays is very rare to achieve. The film industry is heading to new territories, sometimes forgetting about the roots and foundation given by old school titles, and that's why I personally find most of the new ones disturbingly boring and lifeless, like a torn jellyfish on the scorching beach. After all this movie is one of the milestones in martial arts film history and should not be put in "retired" section just yet, as it can beat in every department most of the shiny brand new examples, filled with cheap wire-fu, glossy characters, artificial fight scenes and stupid plot. I told you about the inevitable glorification, so you already could've guess my final judgement, apart from the small bit with comedy-gone-out-of-place, the rest is perfect, just perfect. На български ще ми е малко по-трудно да не бъда многословен и затормозяващ, но ако все още някой чете и този вариант, ще се постарая да бъда по-малко субективен (което ми е доста голям проблем, когато пиша за някое от любимите си заглавия). 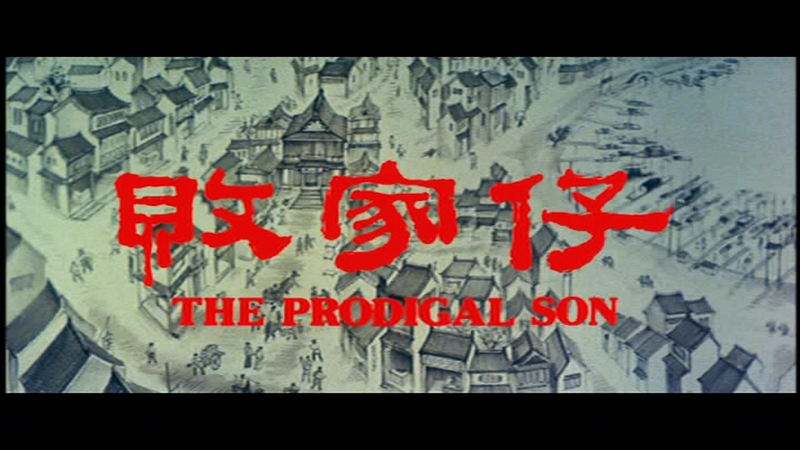 The Prodigal Son маркира един от възходите на кино индустрията в Хонконг и не може да бъде подминат с лека ръка, считан от мнозина за едно от най-добрите представяния на бойния стил Wing Chun, той е събирателен образ на най-доброто излязло изпод режисьорския поглед на Само Хун, който тук показва развитие след Warriors Two, Knockabout, Spooky Encounters & The Victim, макар че намирам Magnificent Butcher за също толкова добър, но там заслуга има и Yuen Woo Ping. A sommersault and fire show - nice attractions. Тук имаме почти перфектната комбинация от типичната тема за отмъщението, взаимовръзките между учител-ученик и съпътстващите тренировъчни сцени (познати от всички стари филми за бойни изкуства), главен лош, който е представен в по-различна светлина и комедиен елемент, който обаче беше малко излишно разтеглен. Перфектните бойни сцени само допълват цялостното усещане за епичност макар и в по-малки пропорции, но определено единоборствата са върха на сладоледа и за мен са едни от най-добрите някога излизали изпод режисурата на Само Хун. В общи линии следваме една част от живота на Люн Джан в малкия град ФоШан, който в началото е разглезено богаташко синче, но научава или по-точно се сблъсква с реалността, когато бъдещия му учител Люн Йи Тай му показва истинската сила на Wing Chun и оттам насетне младият Юен Бю следва като кученце майстора с надежда да го приеме за ученик. Това е една много важна стъпка за духовното и физическо израстване на главния ни герой и постепенно ставаме свидетели на неговото съзряване под строгия поглед и на моменти бруталните тренировки, за постигане на съвършенство. След няколко наистина прекрасни бойни сцени, където се запознаваме и с лошия герой в цялата история, неговите подчинени и търсенето на битката на живота му, която се увенчава с трагични последици, стигаме до подготовката за кулминацията на самия филм, в чийто край Люн Джан и Нгай Фей показват своите умения и по-добрия побеждава, мака и с малко кръв и пот на челото. Само Хун и Юен Бю са страхотен екип тук и наистина представят един спектакъл за феновете, в който нищо не е излишно (с дребни изключения) - има драма, смях, желание за победа, добри и лоши, финес и градация на бойните сцени направени с размах и страхотен усет към детайла, хореографията и отделните елементи на всяка екранна битка. Лично аз, когато за първи път гледах този филм бяха като закован и не можех да мисля за нищо друго, умът ми и съзнанието бяха приклещени от ставащото на екрана и нямаше сила, която да ме отдели от поглъщането на всяка сцена, кадър и движение. А те не бяха за подценяване, умело вмъкнатия монтаж подобри цялостното усещане за реализъм и старание да се представи една различна трактовка на бойното изкуство наречено Wing Chun. Излишно е да казвам, че всеки от героите беше обрисуван с типичните за него черти - Лам Чин Йин като учител беше показан като строг и непоколебим човек, с огромно достойнство и чест, Юен Бю - като неуверен и нетърпелив младок, решен да научи на всяка цена стила, който ще му донесе прекомерна слава и почитатели, но след средата на филма това желание бива изместено от признателност към учителя си и непоколебимост в последния дуел с лошият, Франки Чан от своя страна предлага малко повече размисъл като антагониста тук, понеже не е типичния злодей, а просто човек търсещ самоусъвършенстване чрез бойните изкуства. Само Хун предостави по-леки краски на историята, като неизменния скрит учител, боравещ с малко необичайни техники, но целта му не е по-различна от тази на Люн Йи Тай - да предаде уменията си на по-младите и да бъде горд с последователите си. Получи се нещо като при героя на Майкъл Ангарано от Забраненото Кралство, когато Джеки и Джет го обучаваха заедно, за да получи подготовката на живота си. Определено тук се е получило доста по-добре и си личи умението на Само да поддържа разказа с необходимото темпо, за да достави една завършена картина с всички нужни части, балансирани по впечатляващ начин. Откъдето и да го погледна - операторска работа, сюжет, развитие на героите, хореография, емоция - няма почти слабо място, жалко че вече много рядко се получават такива продукции (последните две за които се сещам са The Raid & Gallants), в които няма излишни ефекти, жици, тъпи и необосновани действия, смехотворни герои, плачевна бойна хореография и/или скапан монтаж. Идеален пример за бъдещите филми от жанра, как трябва да се направи и изглежда един филм с бойни изкуства. Лекинко понижавам общата оценка заради малко разтегления комедиен елемент след средата.